Girls’ Night Will Forever Be Essential! Girls’ night will forever be essential! When you think about your most fun-filled nights, your best girlfriends were likely involved. No matter how busy our lives get, we always need time to hang out with our girls. One of the best places to enjoy a girls’ night out is B Square Burgers + Booze! 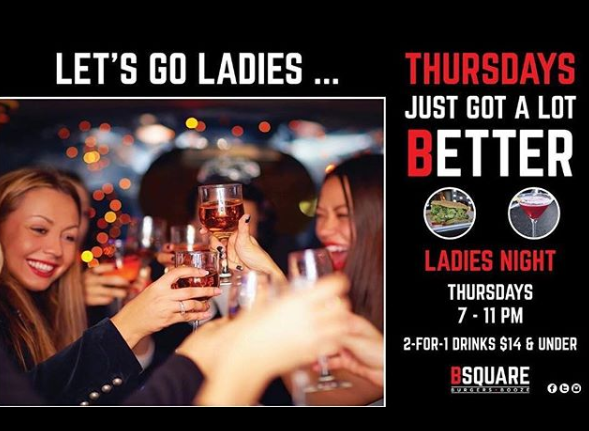 At B Square Burgers and Booze, Ladies’ Night is every Thursday from 7 to 11 p.m. During these hours, women get two for one drinks. Girls’ night is essential because it’s the best way to blow off some steam and let loose. After feeling uptight at your job or spending time with your kids, it’s nice to take a break and let loose. A girls’ night can help us feel young again and can let us forget about our worries for a few hours. Another reason girls’ night is so important is that it’s a time to interact with our friends, face to face. Sure, the group chat is fun, but nothing beats seeing your friends in person. If you’re the type of person who loves to get dressed up, girls’ night is the perfect excuse. You and your best friends can put on your favorite cocktail dress or flashy outfit and enjoy a night out on the town with one another. Getting dressed up can even boost your confidence, so why not go out and have some fun? Express yourself and bond with your friends during Ladies Night at B Square Burgers + Booze this Thursday! 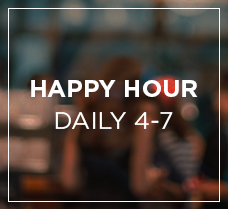 We hope you and your friends will make your way to our restaurant and bar to enjoy some tasty food, delicious drinks, and remarkable discount specials. You can find B Square Burgers + Booze at 1021 E. Las Olas Boulevard in Fort Lauderdale, and we can’t wait to see you soon!